Home Self Esteem The Core Ingredients Of Dyslexic Self Esteem. The Core Ingredients Of Dyslexic Self Esteem. 2018 is upon us and as parents we are looking ahead to the start of the Spring Term here in the UK when our children knuckle back down with their school work. Some will be focusing on GCSE or A Level exams that will be looming around May and June (in the UK) and for many children with dyslexia it will feel like they are swimming against a current again. Years of working in an education system which does not have a working strategy country wide for supporting children with dyslexia affects the development of a child's self esteem and potentially their mental health. So as parents what are the core ingredients to supporting our children through education that will help to build up their self-esteem? This is key! As parents we need to understand as much as possible about what dyslexia is and how it interacts with the other special educational needs conditions that often co-occur. So often it is easy to make assumptions about why our kids behave in the way that they do and in many cases there could be a relationship to how dyslexia affects them e.g what may seem like an untidy bedroom and ergo an untidy teenager, may well be a way of coping for that person. When a child is given a number of instructions and they very clearly haven't delivered on those instructions, are they not listening or are they struggling to process the information presented to them? As parents of dyslexic children it is not acceptable to not look more closely at what dyslexia is and how it affects the lives of young people. If we don't then we run the risk of making assumptions about our young people that might negatively reinforce an unhealthy view of oneself. Dyslexia is not something that just affects a child's time at school. It runs through the whole of life. It is relatively simple to get to information that can help you. On my Studying With Dyslexia Blog I have a list of resources that you can check out that could be useful to you. Just click here to access those links. Free 30 minute consultation sessions available. 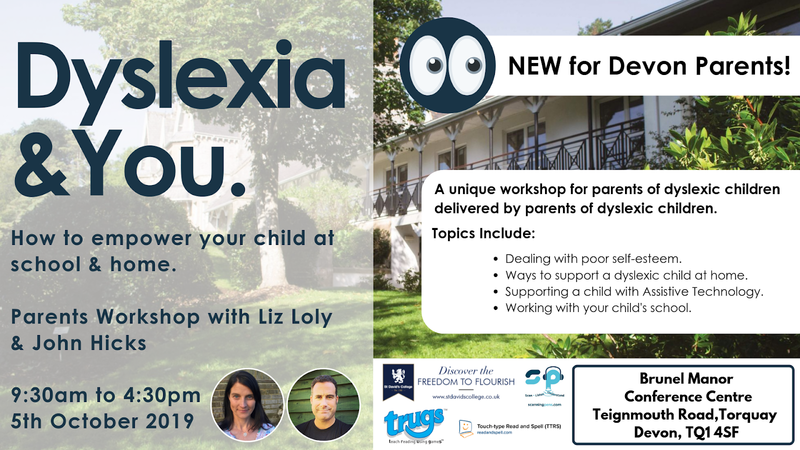 For a child undiagnosed with dyslexia, there can be a huge feeling of anxiety and uncertainty about why they have certain struggles in life especially in a peer pressure hotbed such as school. Not to mention all the testing that is currently taking place on our children where they are expected to match up to certain grades. Equally with the change in GCSE grading and the exam based testing that is taking place, if a child does not understand that their struggles are not to do with a lack of intelligence rather than an ability to express it then this can be extremely damaging to their self esteem. The generally accepted view is that a full diagnostic dyslexia assessment from 7 years old and upwards would be most helpful. Whilst this is not cheap to get done, it will pay dividends and will be life changing because you and your child will be armed with information and specifics that you will be able to use to leverage support. For many children, a dyslexia assessment is reassurance that they are not 'stupid' but someone who needs to learn in a different way. 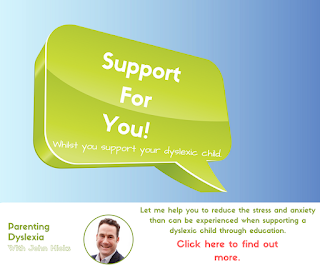 Click here to find out more about dyslexia assessments. Getting an assessment is the start of the journey for your child. In many ways a diagnostic assessment lights up the path for what is next. It should give advice for intervention, i.e what your child needs in order to find their educational potential and be the person that they need to be. Once you have a diagnostic assessment report you can discuss this with your school SENCO or student services. It is possible that your child needs more support that your school can currently give and so you might need to arrange a Educational Health and Care Plan. Your school should be able to give you more information about how to arrange this or you could check out the current UK Gov information about EHCPs. 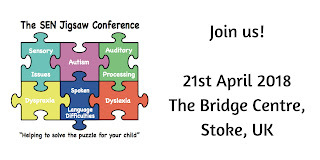 Equally, on the 21st April, Mandi Baker will be giving a workshop on this topic at the SEN Jigsaw Conference. Book your ticket today. Click here. 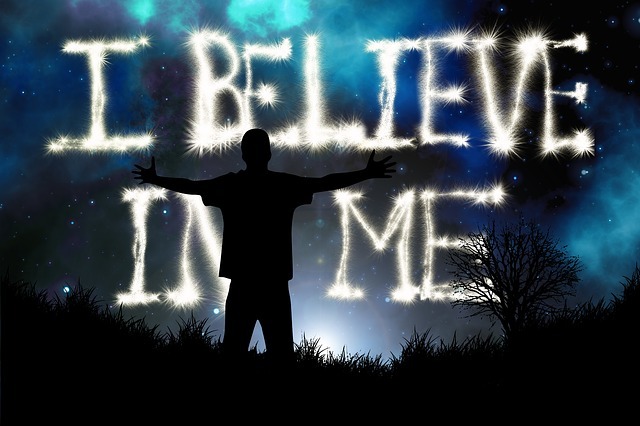 I believe that knowledge, clarity and intervention are essential for helping a child to develop their self esteem. Of course there are others but these are key in really getting a child what they need to be the best that they can be. 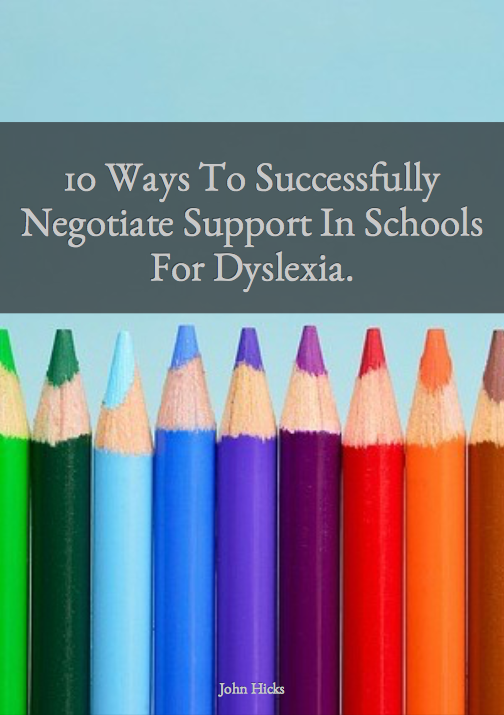 10 Ways To Successfully Negotiate Support In Schools For Dyslexia. New ebook from Parenting Dyslexia Coach, John Hicks. Get your copy for free, sign up below.